Ford's recall covers 1,826 Lincoln Continentals in the United States and 49 in Canada. 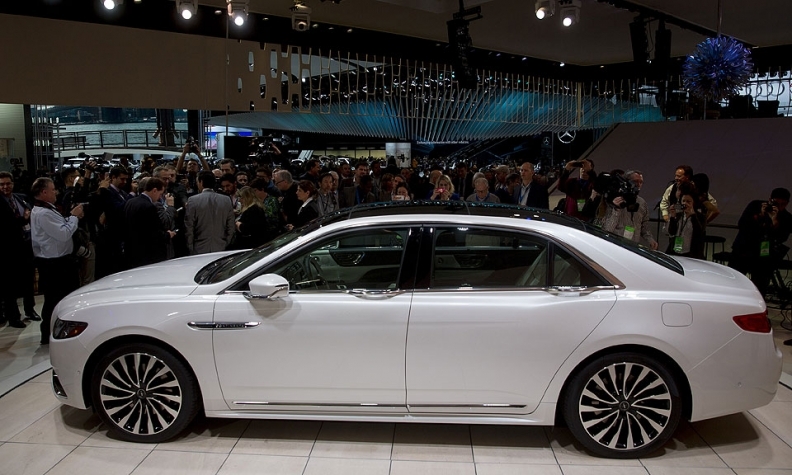 Ford Motor Co. said Tuesday it is recalling nearly 1,900 2017 Lincoln Continentals in the Canada and the United States for possible defective headlamp assemblies. The vehicles went on sale in Canada and the United States in September, during which the automaker sold 17 in Canada and 775 south of the border. Ford’s recall covers 1,826 vehicles in the United States and 49 in Canada, built between June 14 and Sept. 23. Ford said the lights may have been built without the proper lenses to meet federal requirements for turn signal visibility. The vehicles will be inspected at dealerships and defective assemblies will be replaced. Ford is also recalling about 60 2015 and 2016 Ford Edge crossovers in the United States, Canada and Mexico to fix antilock braking system software. Ford said it is unaware of any accidents or injuries associated with either problem.